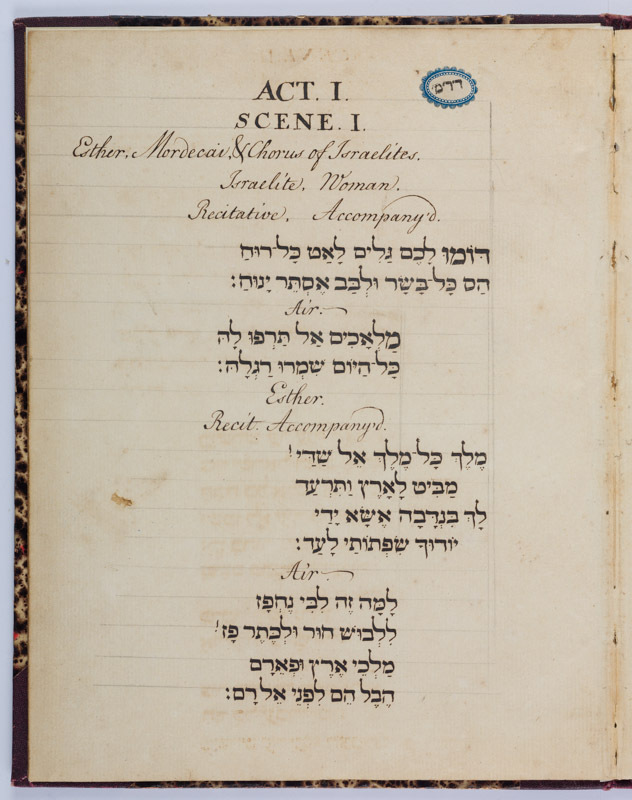 Hebrew translation of the libretto of the oratorio Esther. Hebrew translation of the libretto of the oratorio Esther by Jacob Raphael Saraval, copied by David Franco Mendes. Amsterdam, c. 1780. Hebrew and some English / Paper / 23,3 x 18,4 cm. /  ff. / Square vocalised writing with current English headings.